Slitter rewinder machine for extra clean film. It is designed with new and high performance. Our overhead Slitter Rewinder for extra clear film combines new technology, features and design in heavy duty concept. Extra clear film mostly applicable for Printing & Lamination, Metallization, Embossing, Holograms and many more. Our slitter is ideally designed for the serious slitting all types of flexible packaging materials. 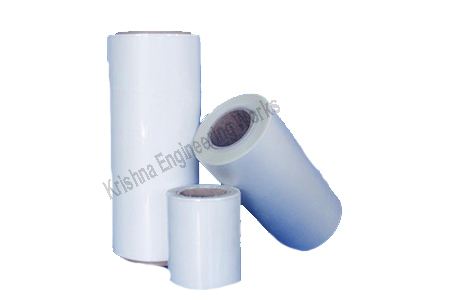 Slitting of all types of material like Plastic, Paper, Flexible Packaging, PVC, Aluminum Foil, Stretch Film, LDPE Film, BOPP Film, BOPP Tape, OPP Film, CPP Film, METPET, Pet Film, Extra Clear Film, Coated Films, Matt film, Coated Matt Film, Electrical Grade, Yarn grade, Hot Stamping Grade, Lidding Film, Yarn coated films, Metallizing grade, Release film, Audio Tape grade, Direct Embossable Film, Easy stackable Film, Silicon Coatable film, Heat Sealable Polyester Film, Deep Freeze Film, Metallizable Sandwich Lamination Film, High Barrier Metalized BOPP Film, Chemical Metallized Polyester Film, Textile Bags Film, Metallized Film, Metallized BOPP Film, Metallized Polyester Film, Matt Film, Over Wrap Film, Sealable Film, Grade Film, Inner Wrap Film, Broad Sealing Film, Soft PVC Film, EVA Film, makes us most experienced manufacturer, exporter & supplier of Slitter Rewinder Machine. Our machine is an ultimate Slitter and Rewinder Machine for its accurate slitting and rewinding qualities. It ensures perfect slitting of rolls with consistent, flawless results and constant line speed. It is available in adaptable model to suit your requirement. Our Slitter Rewinder Machine is available in Rewinder, Duplex surface slitter and Rewinder and Canti lever differential slitter and Rewinder. Our Slitting Rewinding Machine is renowned for its accurate slitting at a higher speed and vibration less working. 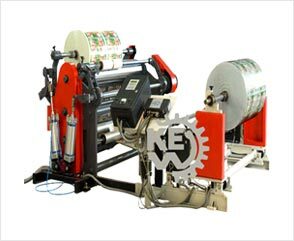 KEW Slitter Rewinding Machine ensures perfect slitting of rolls with consistent flawless quality and constant line speed. It is available in adaptable model to suit your requirement. Krishna Engineering Working reserves the right to change specifications & design without prior notice to incorporate latest development.